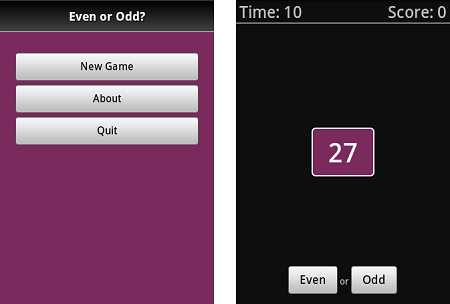 I would like to introduce you the freshly cooked “Even or Odd” game, an addictive casual game for Android. The idea of the game is pretty simple: you are given a series of numbers, and have 30 seconds at your disposal to answer if the given numbers are even or odd ones. Give a correct answer and you get +100 points, you give a wrong answer and you go down: -100 points. Try to give as many correct answers as you can in 30 sec. 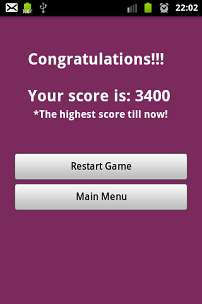 Give it a try and let me know your high score :).